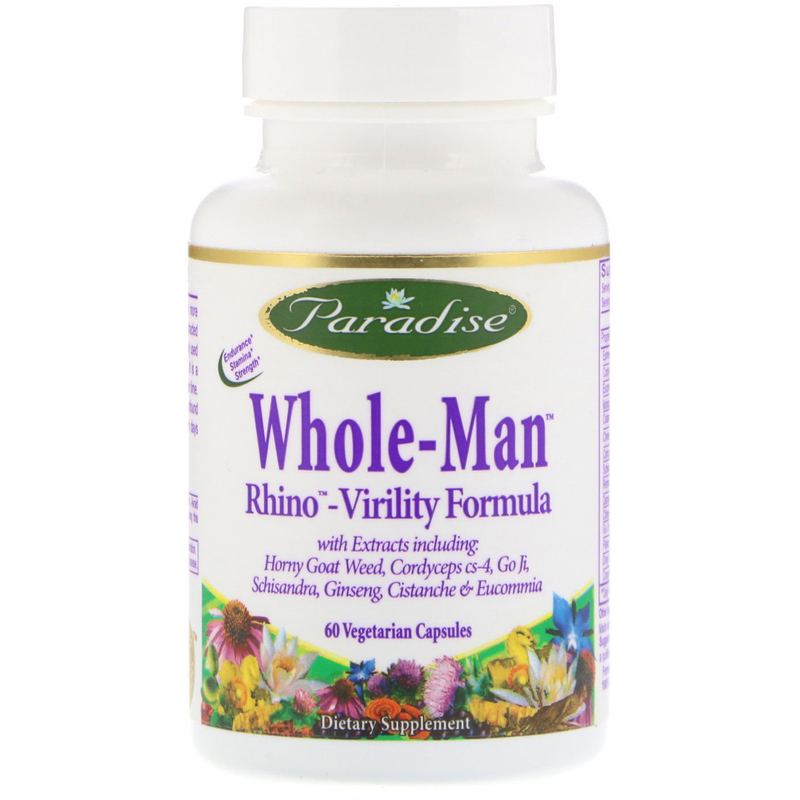 Paradise Whole-Man Rhino Virility formula is so much more than just another male support product. This naturally extracted formula provides a synergistic blend of herbs traditionally used for increasing a man's endurance and staying power. It is a warming Yang tonic that is used to help build energy over time. 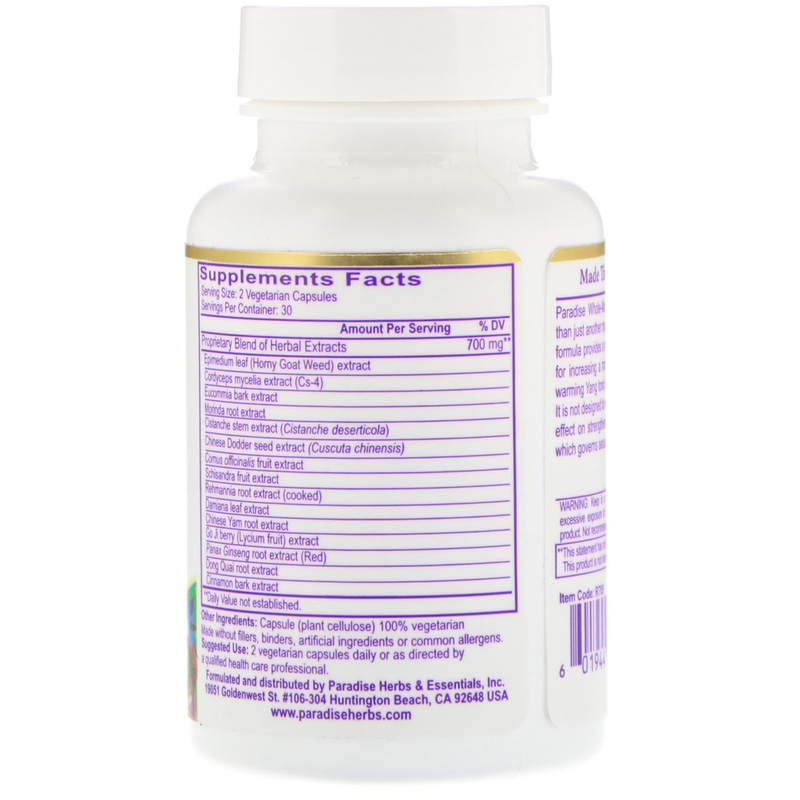 It is not designed to work in one night, yet it can have a profound effect on strengthening Kidney Qi within weeks or even days which governs sexual vitality.